Conventional and Government (FHA and VA) lenders set their rates based on the pricing of Mortgage-Backed Securities (MBS) which are traded in real time, all day in the bond market. This means rates or loan fees (mortgage pricing) moves throughout the day, being affected by a variety of economic or political events. 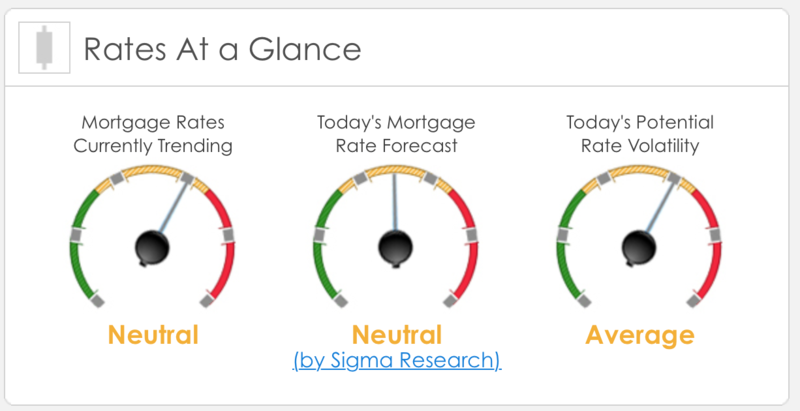 When MBS pricing goes up, mortgage rates or pricing generally goes down. When they fall, mortgage pricing goes up. Tracking these securities real-time is critical. 1) Trade: Trade talks will continue this week via teleconferencing. The bond market will be looking for more progress if any major milestones are confirmed; it could push rates higher. But if we get more vague outcome “it’s going well” type of commentary then rates will move sideways. 2) Fed: We have a very busy week that will focus on Wednesday’s release of the Minutes from the last FOMC meeting where they seemed to tilt more to the “dovish” side of policy. But we also hear from key members including Vice Chair Clarida and Governor Bowman. Trade talks and inflation numbers are the two events that have the ability to increase volatility and push rates higher. We’ll be paying particularly close attention to the inflation numbers, specifically the CPI reading.